The 258th Soundtrack of the Week is Tokyo-a-Go-Go, a collection of Japanese movies made by Nikkatsu studios in the mid 1960s. 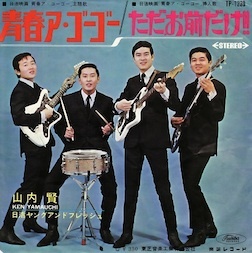 The first two songs are by The Spiders and have excellent guitar playing, somewhat similar in sound to Takeshi Terauchi's early stuff. These two tunes are from the movie Youth-a-Go-Go. After that comes the classic vocal duet "Futari no Ginza", which means, I think, two people in Ginza. 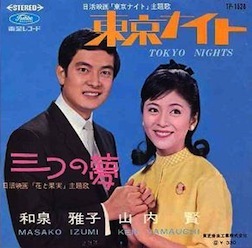 It's a great up-tempo romantic song, performed here by Ken Yamauchi and Masako Izumi, who star in the movie of the same name. You can listen to it, with scenes from the movie, here. It should be familiar to fans of The Ventures. 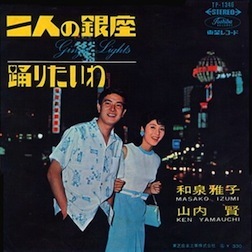 Yamauchi and Izumi sing the next song, too, "Tokyo Night", which is similar to "Futari no Ginza", though more driving and with a "Telstar"-style break. The next two songs, "Say Mama" and "Little Robby" are performed by Judy Ongg. She has a good band but I don't really like her voice. 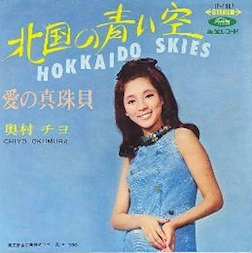 The introductory sax sound on the next track, "Hokkaido Skies", is not a good sign, but Chiyo Okumura's voice is great and the song is a good one. I think The Ventures covered this one also. The sax player takes a nice solo so I guess the intro was just a bit shaky. The next song is "Goodbye Mr. Tears" and actually has a Mexican folk song sound to it, which is curious. 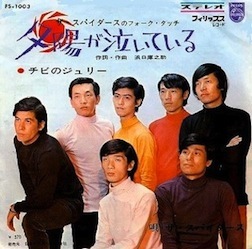 The name of the band is Young & Fresh, the same name as the band in Futari no Ginza. And the same band might have been in Seishun-a-Go-Go. I'd really like to see these movies someday. Masako Izumi returns for the insanely chirpy "I Want To Dance" (which is how I translate the title "Odoritaiwa"). It's not for me. After that come The Bunny Girls with a really nice melodic number that's called something like "Let's Date". "Together at Night" begins with some great bluesy electric guitar playing. Surprisingly, it slips into a smoky, laid-back feel with great singing from Shima Chinami. "The Setting Sun Is Crying" by The Spiders starts off as a blistering instrumental before settling down unexpectedly into a melancholy mood. After this comes something like "Love's Misery", a howl of passionate pain in 12/8 with some old fashioned touches in the arrangement. The song after it is similar. Both are sung by Isao Bito. After this come two songs the CD says are by Johnny Tillotson, "Roses Are Blooming" and, once again, "Goodbye Mr. Tears". I was doubting this but according to Wikipedia, Tillotson did appear in the movie Goodbye Mr. Tears "after his number 1 Japanese hit of the same name". So how did Johnny Tillotson end up singing, recording and releasing a song in Japanese? It's "Futari no Ginza" time again, this time performed by Young & Fresh. This is followed by another Young & Fresh song, a ballad. Then comes a vocal version of "The Setting Sun Is Crying", apparently performed by a band called The Tonys. "First Love" is another Young & Fresh song, similar to the others, a nice blend of surf, rock and romance. Psychedelic rock and fuzz guitar show up for the penultimate song, "Ken's Rock" by Yamauchi Ken. 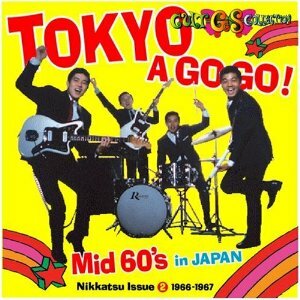 The collection concludes with the Takagi Takeshi's "Tokyo-a-Go-Go", a mid-tempo rock number with surf touches. All in all, an excellent compilation.